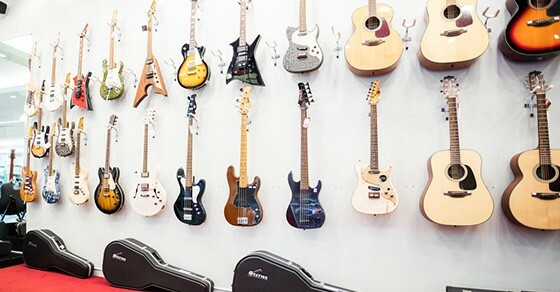 Guitars come in various sizes, shapes, and colors. So, what’s the difference, and why does it matter? Well, there are essentially four types of guitars – steel-string acoustics, classical (or nylon-string) acoustics, electrics, and seven, eight, or nine-string electrics. There are other types of guitars, and even subcategories under each of the ones mentioned, but here we’ll be focusing on the four I just identified. Here are some of the main guitar types you should be aware of. What Should I Look For In A Guitar? What Type Of Guitar Should I Buy? 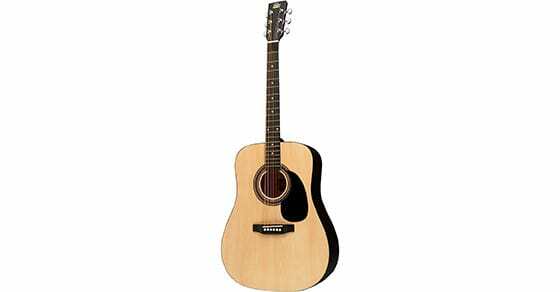 When most people think of a guitar, a dreadnought acoustic is what immediately comes to mind. But like most other types of guitars, acoustic guitars do come in a variety of shapes and sizes, and some of them even have pickups and mics built into them, essentially making them “electric-acoustics”. You can even find “hybrid” style guitars like the Taylor T5, Godin Multiac, or the Anderson Crowdster. 12-string acoustics are also available, and we’ll be looking at one in a moment. Travel guitars have also become increasingly popular over time. Here we’ll explore basic six-string and 12-string instruments. It’s hard to believe you can now get a quality acoustic guitar for such a nominal fee. 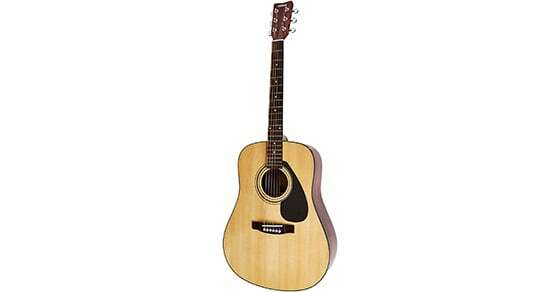 The Rogue RA-090 is a six-string dreadnought with a nice appearance. Customer sentiment has also been positive overall. Because it is a dreadnought, you should be aware that the body is on the longer side. For most adult players, this should not be a problem. It may not be ideal for kids, however. There’s no way the RA-090 could compete with guitars made of better materials, but beginners might get a kick out of this instrument. If you’re looking for a nicer-looking, better-sounding guitar than the Rogue, but you still don’t want to pay big bucks for it, the Yamaha FD01S is worth a look. I think you’ll be hard-pressed to find another comparable solid top guitar in the same price range. The Yamaha is great choice for beginners, and customers seem to agree. Ever thought about trying out a 12-string acoustic guitar? If they’re built well, they don’t feel all that different from a six-string guitar because it’s more like having six strings doubled than it is like having 12 independent strings. You may have heard of or seen mandolins before. It’s a lot like that. I’m always amazed by the quality of guitars Ibanez creates for the price. The AEG1812II is no exception. 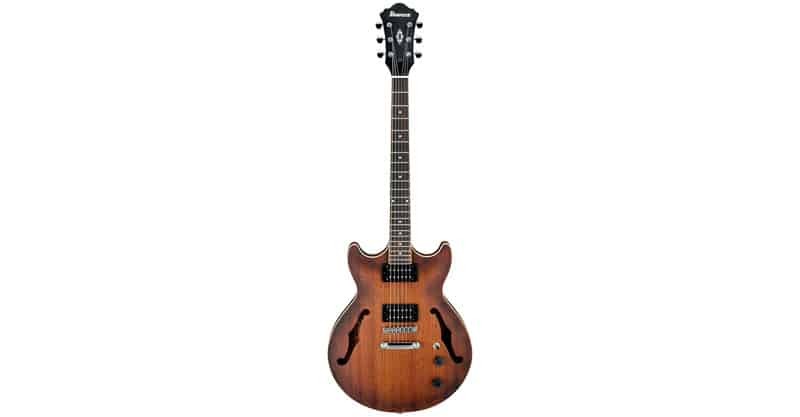 This Ibanez comes with a spruce top, mahogany back and sides, a mahogany neck and a rosewood fretboard. Customer sentiment is good. Worth a look if you’re just beginning to dive into 12-string territory. Nylon-string acoustic guitars tend to be easier on the fingers (because of the strings). This is one of the reasons I recommend them to beginners, though they aren’t right for everybody (namely people with smaller hands). Classical guitars also have a wider neck, and have a more traditional look compared to steel-string guitars. They are typically used for classical, flamenco and jazz music, but can also be used for other styles of music. There aren’t too many different types of classical guitars, though some do come with onboard electronics (making them electric-acoustic), and some also have cutaways for easier access to higher frets. 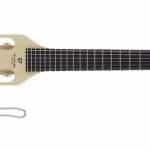 Also available as 3/4 size and 1/2 size guitars (for kids and smaller adult players), the CGS104A is affordable, and it has gotten good reviews. 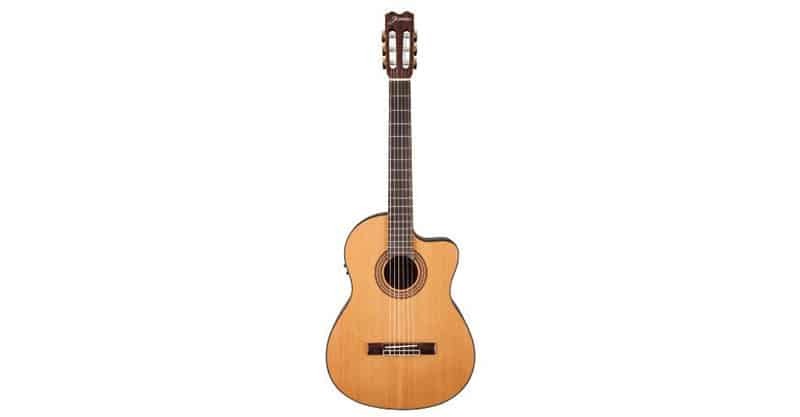 For those looking for a no-nonsense classical guitar, the Yamaha should serve you well. It comes with a spruce top and a rosewood fingerboard and bridge. Another solid contender in the beginner guitar market is Jasmine, and the JC25-NAT J-Series is comparable to the Yamaha we just looked at. With this guitar, you get a spruce top and rosewood fingerboard and bridge. Again, you won’t sound like a pro without investing in a more expensive guitar, but the Jasmine is good enough for getting your feet wet. For those who love classical guitars but want a little more out of their instrument. The JC27CE-NAT guitar comes with a cutaway. That will give you access to higher notes, something most classical guitars don’t offer. And, it’s not too shabby in other regards either. It comes with a solid cedar top, sapele back and sides, rosewood fingerboard and bridge, a slim neck, and a Fishman Isys III preamp system with a built-in tuner. Yes, this is an electric-acoustic style instrument. If you’re thinking about hitting the open mics or playing some gigs with your classical, and you’re still a relative beginner, you’ll love what the Jasmine offers. From Van Halen and Black Sabbath to Led Zeppelin and Deep Purple, the electric guitar has been a key piece to the sound of many popular bands. 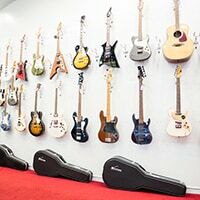 Electric guitars usually come equipped with pickups instead of sound holes (though some electric guitars also have sound holes), and need to be plugged in to be heard, whether in an amplifier or PA system. Tonal possibilities are expansive, especially since there are many amps, effects pedals, strings, and picks that can be used with your instrument. Technique can also affect your tone. You can also find hollow body electrics, and we’ll look at one of those in a moment too. 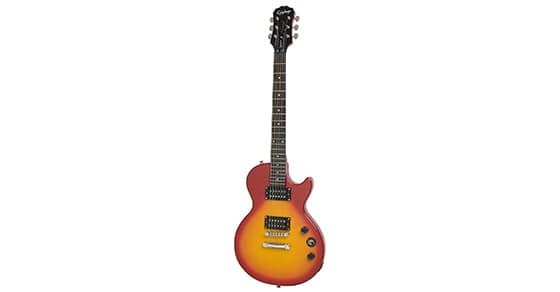 In my experience, the Epiphone Les Pauls Epiphone Les Paul SPECIAL-II Electric Guitar Heritage, Cherry Sunburst are great guitars, and in some ways may even be superior to new Gibson Les Pauls, which for some reason Gibson felt the need to tamper with. Since this is a “SPECIAL” guitar, and it’s incredibly affordable, you’re not going to get the best guitar in the world when you buy the SPECIAL-II. But with a basswood body and 700T humbuckers, you are going to get a solid electric. 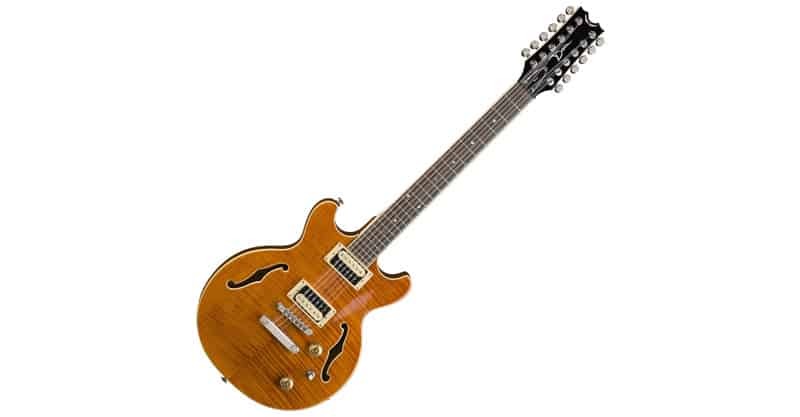 You’ll also be glad to know that customer reviews have been quite good for the Epiphone. Squier, a Fender company, is practically synonymous with beginner electric guitar instruments. 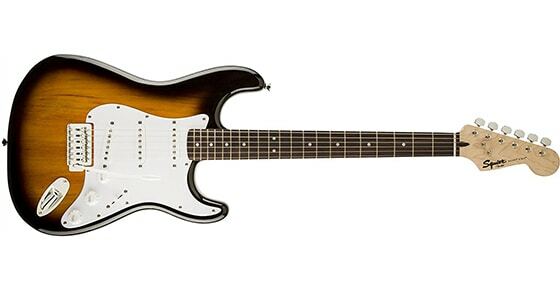 The Bullet Strat is a reliable choice if you’re just getting into electric guitar. Squier guitars can vary somewhat in quality, but this Squire has many satisfied customers. You might be pleasantly surprised when you pick one up. My first electric was also a Squier, though it was an Affinity Strat and not a Bullet Strat. But both are good. When it comes to hollow body guitars, you’ll find both semi-hollow-body and hollow body. You can probably guess what that means – hollow body guitars are more hollow than semi-hollow-body guitars. In general, I find hollow body style guitars to have a warm tone with less sustain. This makes them perfect for blues, jazz, and other genres. Naturally, there are no rules against using it in other styles of music, and some rock players even prefer them. When it comes to affordable hollow bodies, the Ibanez Artcore series is what immediately comes to mind for me. And, the AM53TF doesn’t disappoint. It looks good, sounds good, and won’t cost you an arm and a leg. Customer sentiment is also great. It can be a little harder to come by 12-string electric guitars. That’s why I thought it might be fun to feature one here. The Dean BOCA12 TAM semi-hollow-body is good value for the money. It has a great look to it, and yes, it sounds good too. Its chief weakness is its neck, which could be a little stronger since it’s supporting 12 strings as opposed to six. Once the Dean is tuned up, it does hold reasonably well. The only downside is that the neck is under some strain. 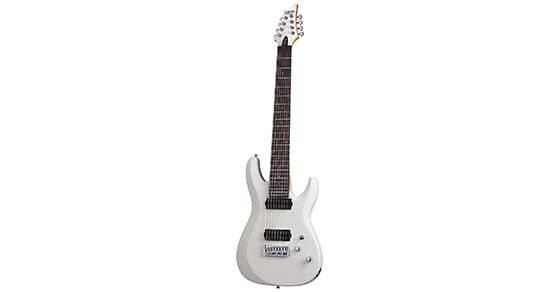 As metal and djent continue to grow in popularity, so do seven- and eight-string guitars. This gives guitarist’s access to lower notes without having to drop tune, which can make them sound heavier. Oddly enough, though, some guitarists do drop tune, even if they have an eight string guitar. Beware of stepping on your bass player’s toes, however, especially if you want to keep him or her in your band. I don’t know about you, but I wasn’t much of a fan of Metallica’s St. Anger, and to me one of the biggest problems was the muddy bass they had going on in their mixes due to plus-string guitars and basses, as well as drop tuning. But I also think these types of guitars can be cool when used right. Beware, however, that they will feel a little odd at first, especially if you’ve been playing six-string guitars for a long time. 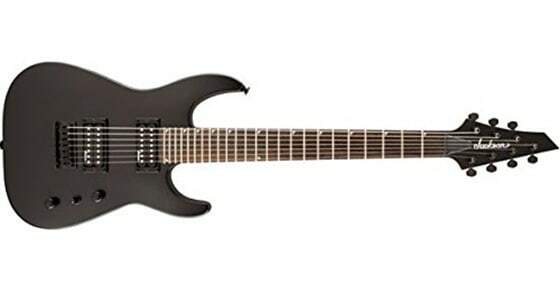 The Jackson JS22-7 Dinky is a reasonably priced seven-string electric. This sentiment is echoed in the reviews. Whether you’re looking to explore new sonic territory on a guitar, or you want to keep a seven-string handy for a few metal numbers, the Jackson will give you the opportunity to try things out to see how you like having an added string. Just don’t forget to buy seven-string string packs! Not satisfied with your seven-string? Need more strings to be recognized as a true metal guitarist? Interested in taking over your bass player’s job? 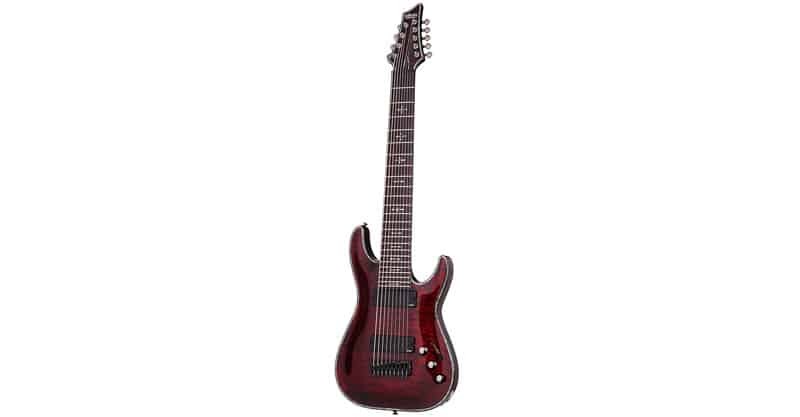 Then you need to check out the Schecter C-8 DELUXE. Sure, the Schecter costs a little more than most guitars mentioned on this list, but did you expect to be able to buy an eight-string for less? All your metal mayhem dreams should be satisfied with this sharp-looking basswood instrument. Nine strings? Okay, so what’s the point? With nine strings, you’ve essentially got an all-in-one guitar and bass. In my opinion, there isn’t much point to this besides sounding heavier than you would with an eight-string. Note that the neck on the HELLRAISER C-9 is quite thick, as you might expect. Reaching some strings might prove challenging for players with shorter fingers. The Schecter has a mahogany body and a quilted maple top and it comes with EMG 909 pickups. It also looks cool. Besides that, I’m not sure what to say. This is one heavy guitar! Since we’ve looked at four distinct types of guitars, choosing one that’s right for you might be a bit of a challenge. I’ll offer a little more insight into this later. First, let’s look at what criteria to consider when you’re looking to buy a guitar. It’s always a good idea to think about your budget when buying an instrument. Although there are plenty of affordable instruments out there, and there are several on this list, this is kind of a big purchase. That being the case, it’s not necessarily one to be made lightly. As I always say, it’s better not to go into debt to buy anything. If you can buy everything with cash, that’s the ideal, although I know it doesn’t always work like that in practice. So, think carefully about how much money you can allocate to a guitar right now, and then look at the options that are within your price range. Again, we’ve looked at a lot of different guitars. As much as possible, I would suggest buying a guitar that’s matched to your playing style, or if you’re just getting started, your musical interests. 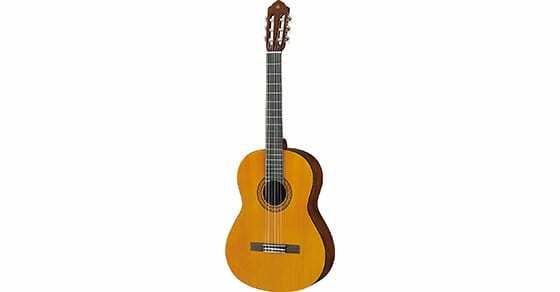 If you want to play classical, flamenco and jazz, then get a classical guitar. If you’re going to play folk and bluegrass, get an acoustic guitar. Get an electric guitar if you want to play rock, country, blues, funk and the like. And, a seven-, eight- or nine-string guitar is probably only necessary if you know you’re going to be playing metal, djent, or instrumental music. A good time to buy a hollow body (or semi-hollow-body) electric is when you know you’d like to dedicate more time to blues and jazz on the electric guitar. And, finally, a 12-string is great for certain situations. It’s a little challenging to define, but a good way to think about it is that it’s great for certain songs or musical situations, but it isn’t great for everything. To be fair, however, there are no rules. Any guitar can be used for any genre, and only the elitists and purists would tell you otherwise. Feel free to experiment and discover what works for you. If you’re looking for a good general way to start, then purchase both a standard acoustic guitar and electric guitar. Don’t expect too much out of a guitar that’s in the $100 – $400 range. Don’t get me wrong – some of these guitars are surprisingly good. But they can’t live up to their multi-thousand-dollar counterparts. This isn’t to say there aren’t some crappy higher end guitars too, because there certainly are. But you shouldn’t expect to sound like a total pro if you aren’t willing to put the money in. So, try experimenting a bit and see what you like. Again, some affordably priced guitars might surprise you. For a beginner or intermediate player, there are few things more important than playability. And, when I say “playability”, I’m basically talking about the guitar’s action. This refers to how high or how low the strings are relative to the fretboard. Now, sometimes high action is more desirable than low action and vice versa. This is at least partly dependent on personal preferences, as well as whether you’re planning to play the guitar with a slide. So, action isn’t everything when it comes to playability, because some guitars with high action play like butter. Some guitars with low action buzz to no end. Regardless, you shouldn’t have to press down on the strings with all the force you can muster just to get a good sound out of them. If your guitar isn’t highly playable out of the box, not to worry – you can always hire a guitar tech to set it up for you. Or, you can even learn to do this yourself. Most guitars are made of wood. And, as you are surely aware, wood is a durable material. But depending on a guitar’s construction, it may be more durable or less durable. Personally, I don’t like to chance it. I have a Gibson acoustic that I love to play. But the headstock nearly broke off one time. The guitar was in its case, and it only fell a short distance to the ground, but that was almost enough force to rip the headstock completely off. This is a secondhand guitar, so in retrospect I determined that the headstock was probably busted once before I ever bought it. It explains why it was such a clean break, and why a small amount of force caused it to tear. Anyway, the point is that you should care for your guitar. If you’re not going to keep it in its case, then buy a stand and place it on there. Also, check the reviews for issues others have had with the guitar you’re thinking about buying. If you can’t find anything, then you shouldn’t encounter much trouble with your guitar. This largely depends on your stylistic choices, the genres you play, your artist or band branding, your preferences (playability, sound, etc. ), your budget, and so on. There are no one-size-fits-all options. 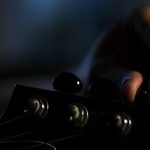 There are even a few options we haven’t mentioned in this guide, such as compact travel guitars. Acoustic guitars are great for accompaniment and intricate fingerpicking work. Electric guitars are great for any type of rock, and most styles of lead guitar. 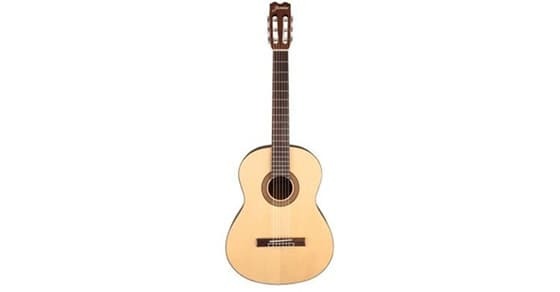 Classical guitars are typically only used for a few select genres, and the same could be said for non-standard electrics like seven or eight string guitars, which are usually reserved for metal or djent (but not always). For beginners, I often recommend classical guitars because the nylon strings are easier on the fingers. 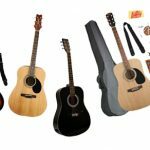 But this isn’t to suggest it would be a mistake to start with a steel-string acoustic or electric guitar, because these can also be great starting points. To me, playability is one of the most important factors for beginner players. A guitar you can’t play doesn’t do you much good, and might prevent you from going any further from the instrument. So, regardless of which instrument you choose, you should select a guitar that feels nice to play. At the very least, get a setup from a qualified guitar tech. Aside from that, if you can apply a little long-term thinking, it might help your purchase decision as well. What I mean by that is that if you’re interested in rock, and you know you want to be playing rock for a long time to come, it doesn’t make sense to buy an acoustic guitar. Buy a standard solid body electric guitar instead. 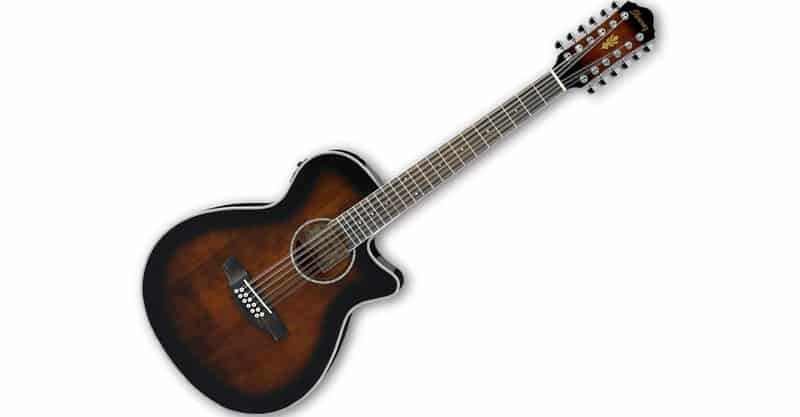 If you’re going to be playing folk and bluegrass, then get an acoustic guitar. You get the idea. From classical to acoustic, electric to plus-string guitars, isn’t it surprising the number of guitar types that are available? As an instrument that dominated the better part of 50 years (1950 – 2000) it shouldn’t come as any surprise that a lot of innovation took place in that time. And, if you want to trace the roots of stringed instruments, its history goes even deeper. Playing music is meant to be fun. So, if you’re looking for a guitar, find an instrument that you know you can have fun with. Experiment and discover the guitar for yourself. It’s a hugely rewarding process.